Customers always have questions about companies and flooring companies like National Floors Direct is no exception. Consumers are looking for information about the National Floors Direct customer service experience including information about delivery, installation, financing and the National Floors Direct return policy. 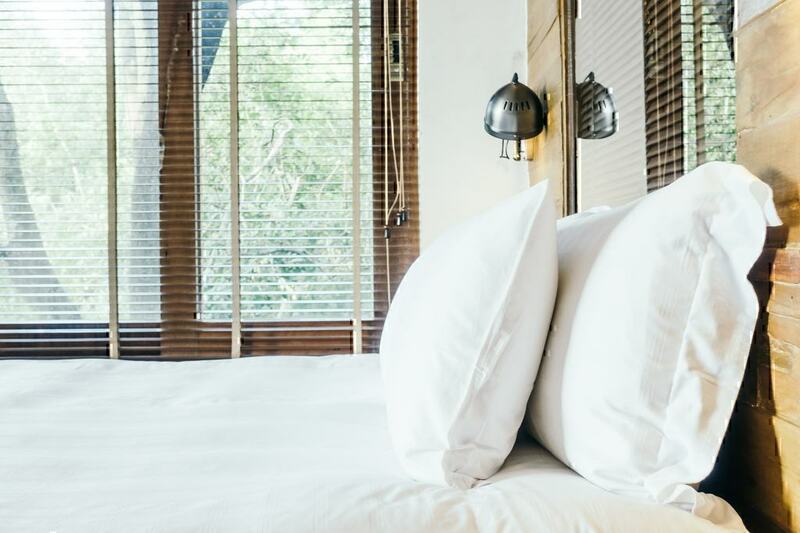 We have gone through the many National Floors Direct reviews and the National Floors Direct complaints on our site to find the most common questions so that we can answer them for you here. Below you’ll find the National Floors Direct FAQ gathered from Pissed Consumer users’ reviews and complaints. 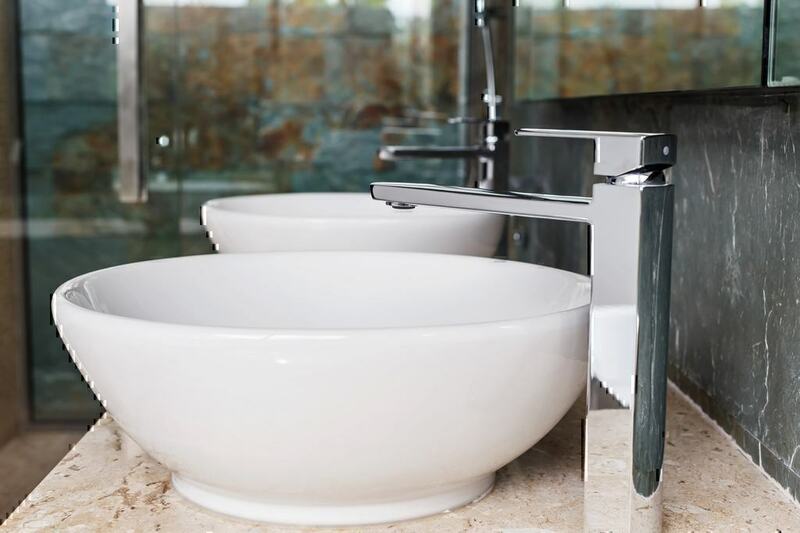 We have scoured the National Floors Direct customer help pages on the company’s website to find the answers. How do I contact National Floors Direct customer service? How much does it charge for flooring installation? How do I return flooring to NationalFloorsDirect.com? Does the company have free installation services? Does www.nationalfloorsdirect.com have any special offers? Who is the girl in the commercial? Are you looking for help finding the National Floors Direct customer helpline? Or maybe you have a National Floors Direct complaint? We have answers to the most common National Floors Direct FAQ below. 1. How do I contact National Floors Direct customer service? According to the Contact Us page on the National Floors Direct website, you can contact the company in two different ways. You can reach the National Floors Direct corporate office by calling the National Floors Direct phone number, which is 888-400-3566, or by filling out the contact form on the company’s Contact Us webpage. When you contact the company about installation, a sales representative will be sent to your home to provide measurements and samples. One PissedConsumer user explained his/her experience with the sales representative in the National Floors Direct review. 2. How much does NationalFloorsDirect.Com charge for flooring installation? 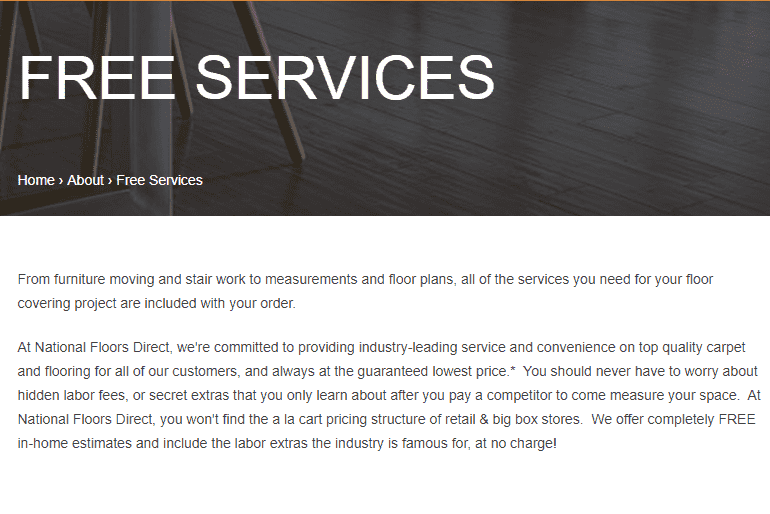 According to the webpage dedicated to Free Next Day Installation, National Floors Direct offers customers free installation of flooring that is purchased from the in-stock inventory. For other types of flooring, the website is not clear about the price charged for installation. 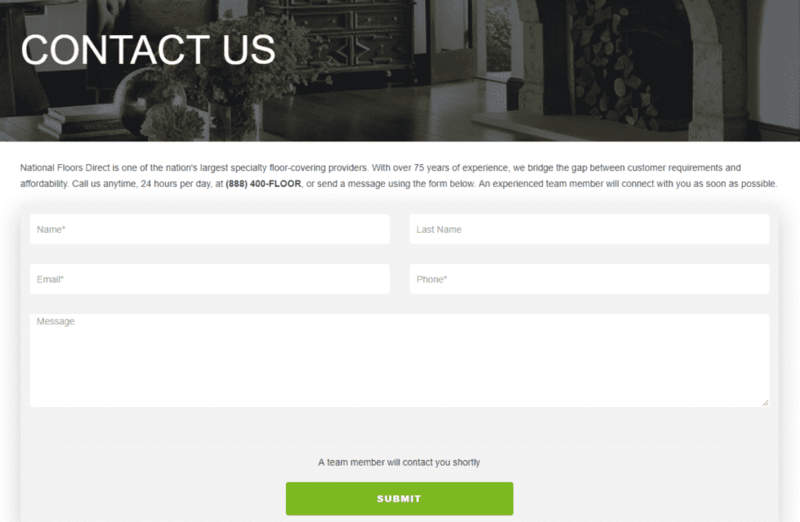 The installation page on the website directs would-be customers to sign-up for an in-home estimate where they would likely learn more about individual pricing for different flooring types. National Floor Direct prices are not advertised on the website for products or installation. 3. What does the National Floors Direct warranty cover? While there is no specific National Floors Direct warranty published online through the current National Floors Direct website, there are details about free services provided by the company for customers as well as additional information about their products being Healthy Home Certified. 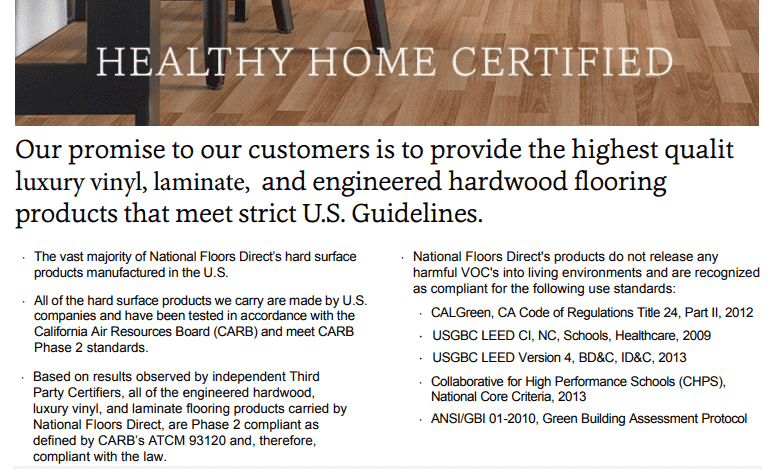 On the Healthy Home Certified brochure, the company is clear that they provide flooring products that meet strict U.S. Guidelines. The products sold by National Floors Direct have been tested in accordance with the California Air Resource Board Phase 2 and the CALGreen, CA Code of Regulations. 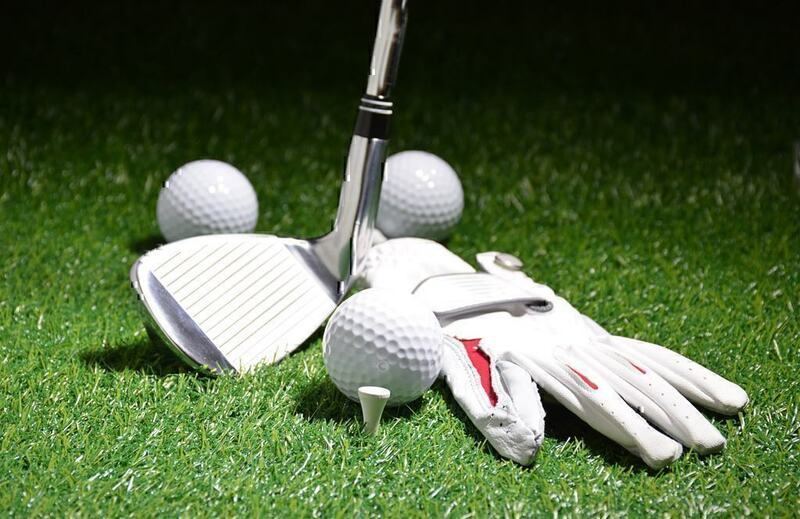 A free on-side consultation and measurement is the first step in the process and is advertised on the Free Services page as well. National Floors Direct does not offer any type of satisfaction guarantee or warranty on the company website. One frustrated customer explained his/her dissatisfaction in a National Floors Direct complaint. 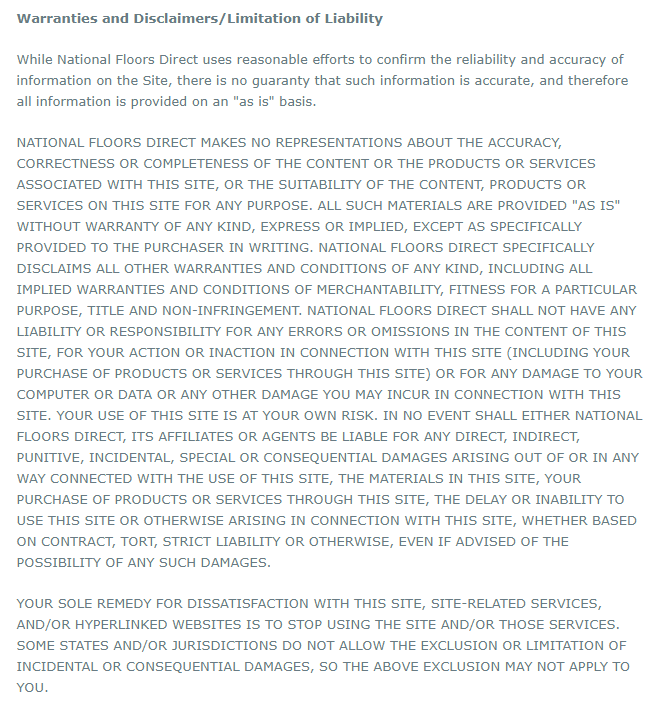 On the Terms and Conditions page of an older version of the National Floors Direct website, there is a disclaimer present about the warranty for the printed materials on the website. There is not a published terms and condition page on the newest version of the website. 4. How do I return flooring to www.nationalfloorsdirect.com? There is no information about a National Floors Direct return policy on the company’s website. 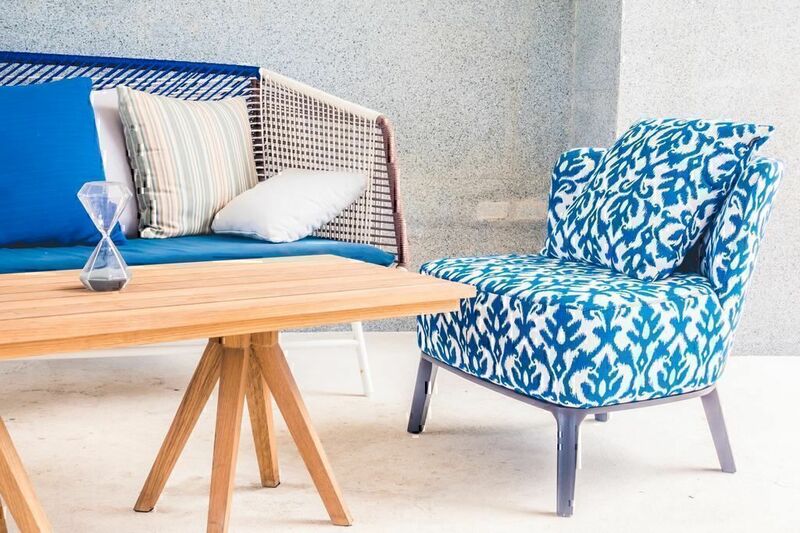 On the About Us page of the company’s website, there is information about the philosophy of the company and written guarantees about sale prices, but there is no mention of the National Floors Direct return policy. The Contact Us page provides two ways to reach the company – via email or phone – but does not provide any additional insight or answers to any frequently asked questions that might include the National Floors Direct return policy either. 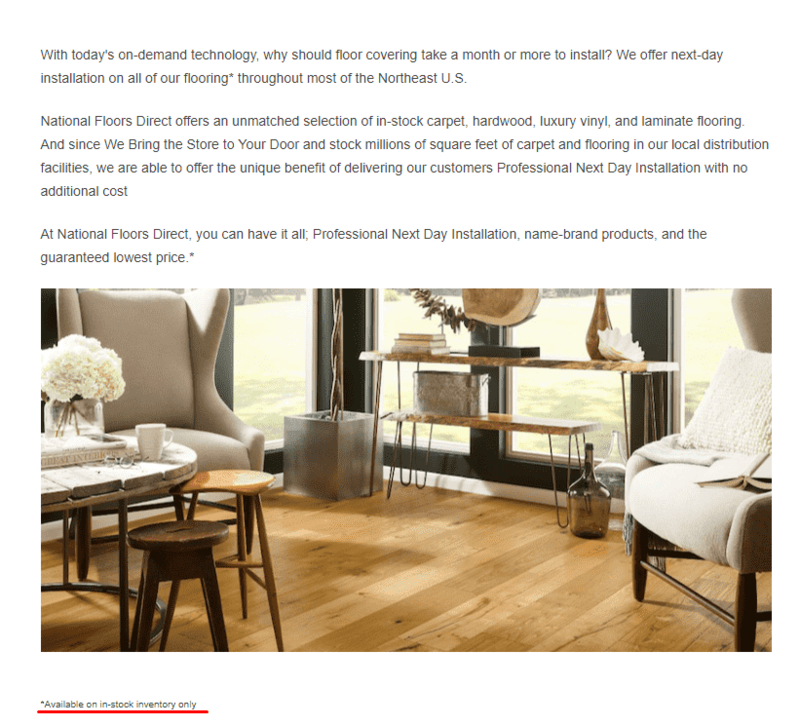 It is worth noting there is also no mention of a National Floors Direct cancellation policy anywhere on the website. 5. Does NationalFloorsDirect.com have free installation services? National Floors Direct mentions free installation in multiple places on the company’s website. There is a Free Next Day Installation page with some details about the installation promise. While this page has the most information about the requirements for free next-day installation including location (Northeast U.S.) and flooring requirements (in-stock carpet, hardwood, luxury vinyl, and laminate flooring), there is also a mention of the free next-day installation on the Free Services page, on the About Us page, and in the fine print of the Current Offers page. It is important to note, however, that all of the mentions of Free Next-Day Installation have a footnote that clearly states the flooring must be considered “in-stock” to qualify for free installation. There is no mention of installation prices for flooring that is not in-stock. 6. Does National Floors Direct have any special offers? 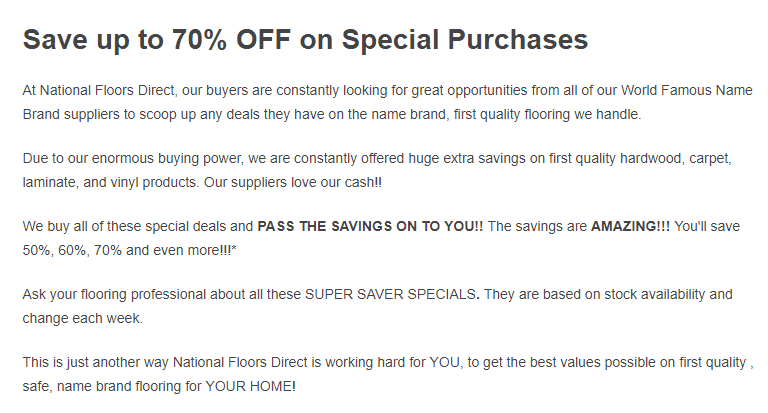 There is a page on the National Floors Direct website that is dedicated to current offers. There is also a banner across the top of the website advertising the same current offer. 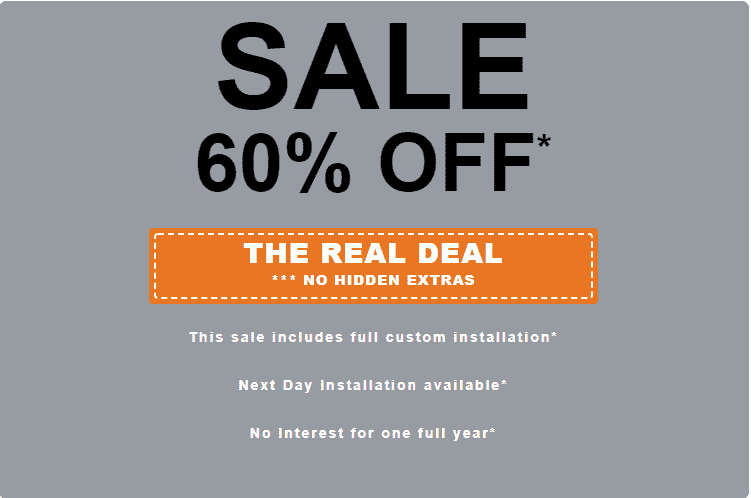 According to the Current Offer page on the date this article was written, the company is advertising 60 percent off with professional next-day installation (according to specific terms) and no interest for one year. On the same page, the company also offers up to 70 percent off on special purchases. According to the page, the special purchases change every week and are based on stock availability. 7. Who is the girl in the National Floors Direct commercial? According to media and film website IMDB, the National Floors Direct spokeswoman is named Adrienne LaValley. 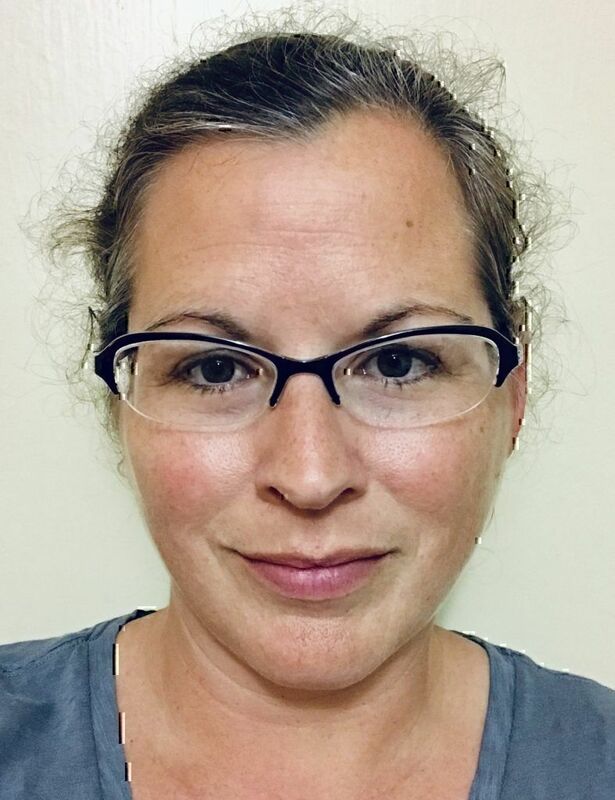 Adrienne LaValley also recently completed an online interview through a website called OpenTheTrunk. Looking for more assistance with National Floors Direct customer assistance? You have other options on how to find additional information. Visit the National Floors Direct customer service page to find the National Floors Direct toll-free number. Read the many National Floors Direct customer reviews on our site to identify similar situations where you might find additional information. Create your own National Floors Direct review with your question or concern to begin a conversation with the National Floors Direct customer service.